Good: Kwadwo Asamoah - An unused substitute in the 1-0 Italian Serie A defeat to Bologna last week, Asamoah returned to action for Inter Milan against Parma on Saturday, crucially helping them to a 1-0 triumph. It was the Nerazzurri's first league win in the New Year and the 30-year-old's 18th appearance involving 17 starts following a summer move from Juventus. Too Bad: Nana Opoku Ampomah - Waasland-Beveren's leading scorer in the Belgian topflight this season, it is safe to say nothing but an injury will force seven-goal hero Donyoh off the pitch before the interval in a game. On Saturday, the striker was replaced in half-time stoppage as his club fell 2-1 away to Sint-Truiden. Too Bad: Thomas Teye Partey - Saturday was a day to forget for the 25-year-old as Atletico Madrid hosted city rivals Real in La Liga. Partey was sent off for a second bookable offence in the 80th minute and to make matters worse, his club Atletico ultimately succumbed to a 3-1 loss in front of home fans. 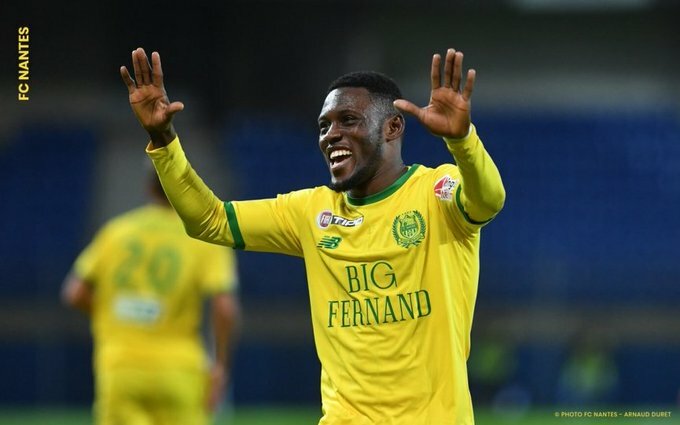 Too Good: Abdul Majeed Waris - The former Right to Dream man converted a 38th-minute penalty for Nantes but his effort eventually proved inadequate as the Yellow Canaries succumbed to a 4-2 home reversal to Nimes Olympique in the French Ligue 1 on Sunday. It was his fourth league goal of the season. Too Good: Godsway Donyoh - A goal in either half of Sunday's Danish topflight matchday 21 fixture for the striker helped Nordsjaelland to a 3-3 draw at home against Brondby. Donyoh has now tallied nine goals in 17 appearances involving 15 starts.